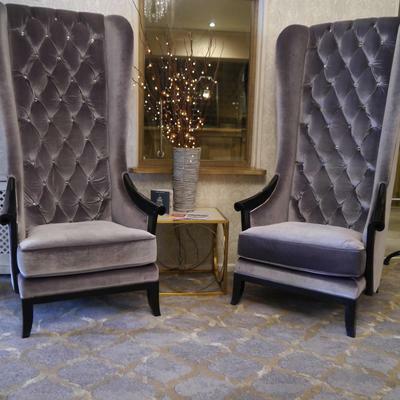 Brintons’ involvement in the recent renovations at Moor Hall Hotel & Spa, a 83-room country house hotel set in beautiful parkland within easy reach of Birmingham, proves that beautiful carpet design and fast delivery times need not be mutually exclusive. 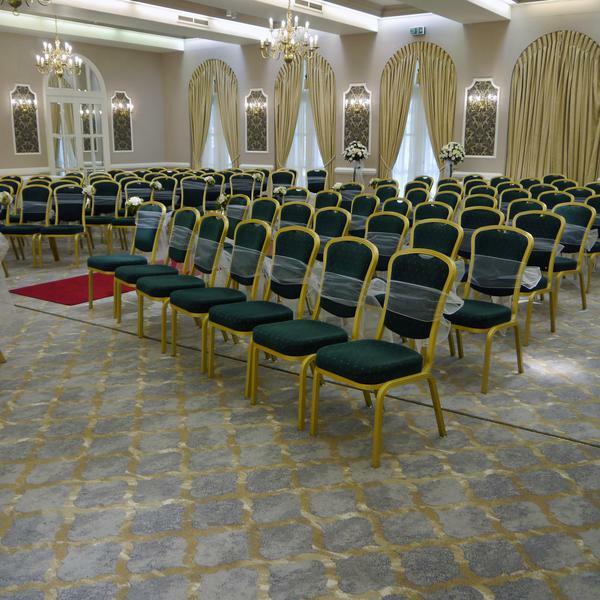 Moor Hall Hotel & Spa commissioned Brintons to supply carpet for the Charter Suite function room and bar with a brief to create a stylish ogee pattern, but with hard wearing carpet for heavy use spaces, the project also involved creating an area of removable carpet that would allow the dance floor to be revealed. 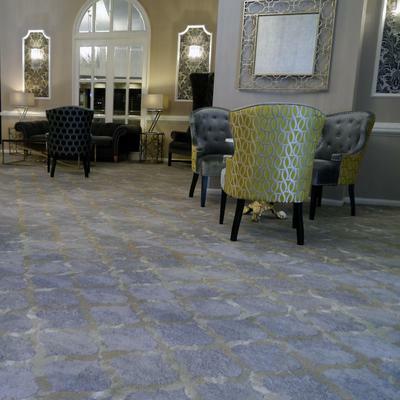 The chosen design is from the QuickWeave™ Inception collection and uses the specialist palette to create a glamorous colour-way. 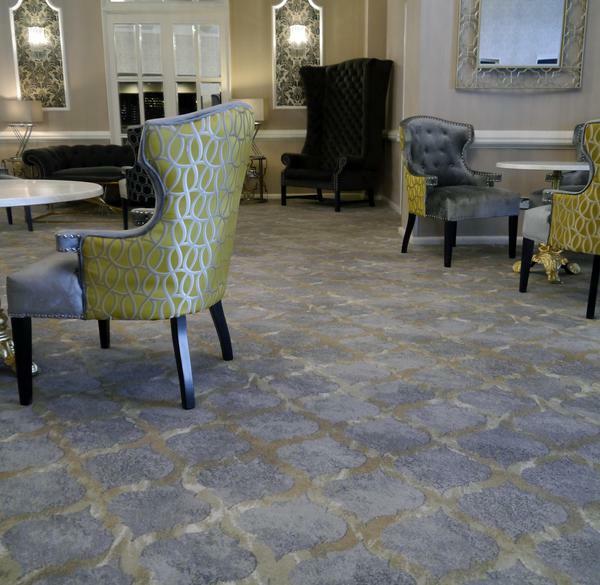 The sophisticated carpet runs throughout the function areas and bar, linking the areas together to create flow in the space. 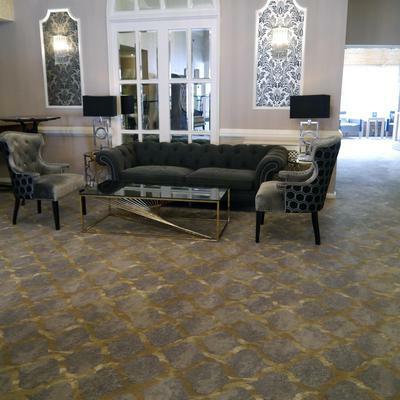 The new carpet that Brintons provided has totally transformed our main function room and bar area. 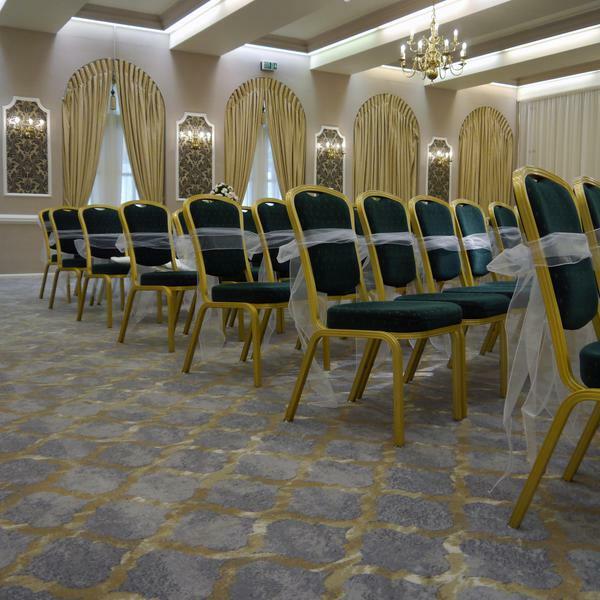 The soft grey and gold colours are a striking base for any wedding or event and we have received many compliments from guests and visitors about the stunning design and quality of the carpet. 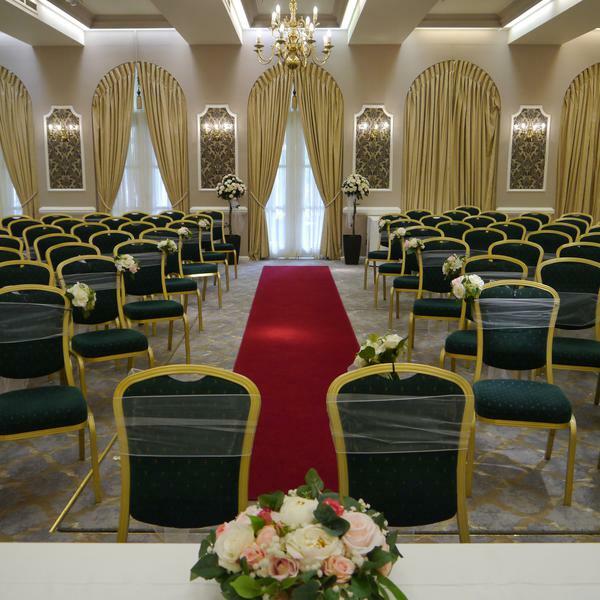 Since the renovation we have seen an increase in business which is purely based on the new look of the rooms and we are grateful to Brintons for the help in making that happen. 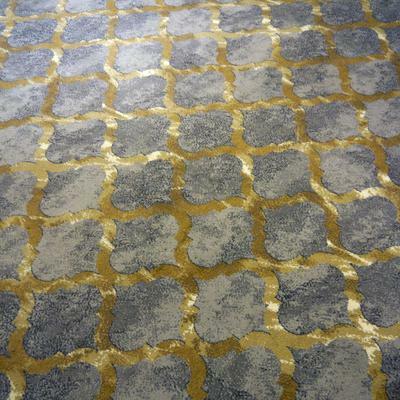 The chosen design for this project is part of the Heritage range from the QuickWeave™ Inception collection. The Inception collection is crafted with all the quality, expertise and passion Brintons have accumulated over the years. 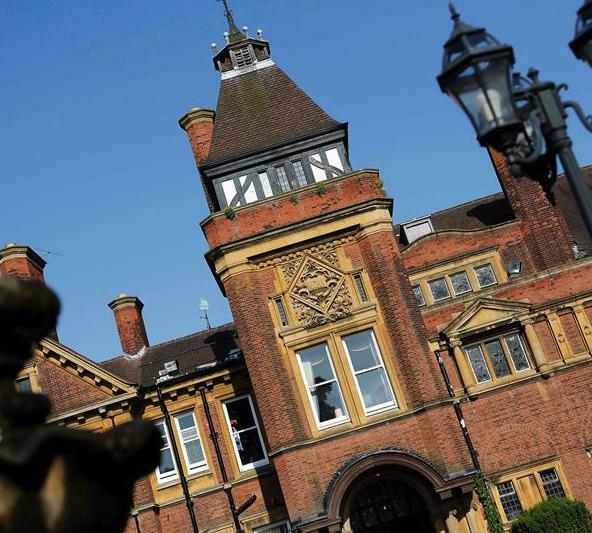 Each design is available in five colour ways and five different specifications so there is something to meet the needs of every customer. 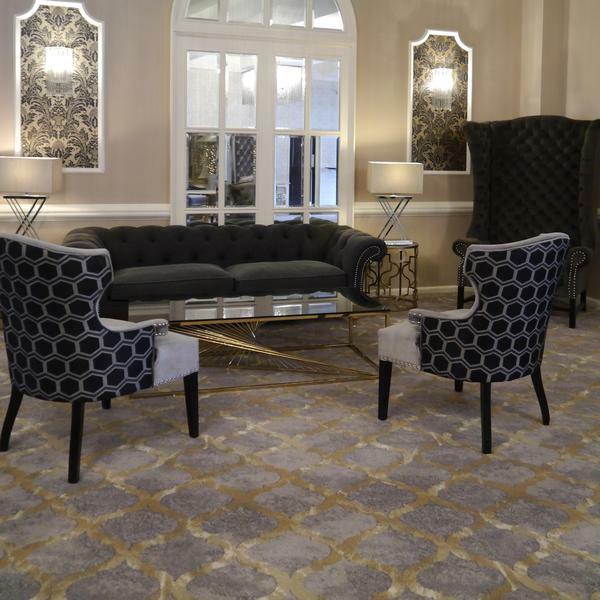 The Brintons design team has created a variety of styles to reflect today’s trends; as the contemporary patterns complement transitional styles such as plaids, stripes, geometric, abstract and layered design themes.